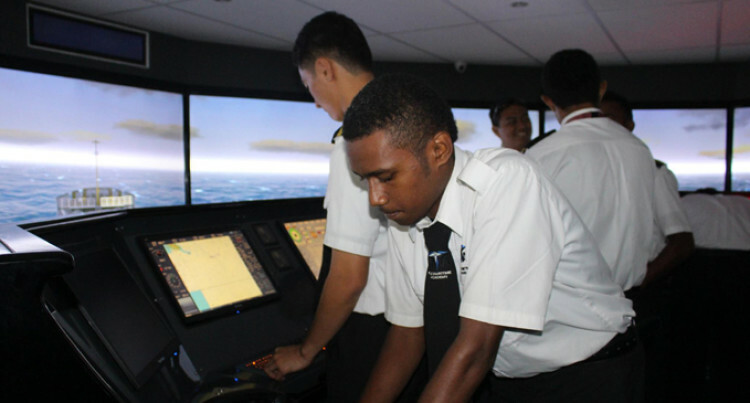 The Fiji Maritime Academy (FMA), as of semester 1 this year, will introduce flexible learning mode programmes for those who are not able to attend classes dur­ing normal class hours in the academy. FMA Principal Lecturer Nautical Science Captain Tevita Robanakadavu said this is the first time the FMA had introduced part time classes for Class 5 Master programmes. “This is the first time since the academy’s in­ception that we are introducing the part time study programme,” Mr Robanakadavu said. “We want those that are not able to attend classes during the day because of work to also have the opportunity to be educated without having any interference with their employ­ment,” he said. “The part-time study mode is becoming more popular as seafarers try to manage earning and learning. “This programme offers a viable alterna­tive for those who cannot commit to full-time courses. Captain Robanakadavu said they were tar­geting ordinary seafarers and deck ratings who were keen to upgrade to officers level (Operation and Management) on a vessel not more than 80 gross tonnages. “We came up with this part-time study mode which involves spreading this full-time course over two semesters and is tailored for those who want to continue working while studying. “Now students will attend two evening class­es (6pm – 9pm) during the week and one on Saturday 9am to 5pm. He said with the flexi-mode they were expect­ing a good number of students to enroll in the coming weeks. “The programme that will commence from Monday , February 4 has generated a lot of in­terest since enrollment began for the Maritime Academy. “We are also hoping that this newly intro­duced flexible learning mode will boost the number of enrollments to this programme in the coming weeks. “This part-time study mode for Class 5 Master programme will be conducted in both the Laucala Bay Campus and FNU Namaka Campus. The requirement to this programme is a 36 month approved sea service while holding a Safety Certificate or 24 month sea service while holding a Deck Watch Rating certificate of proficiency. All interested participants are requested to submit completed application forms to the Maritime Safety Authority of Fiji for pro­gramme approval.